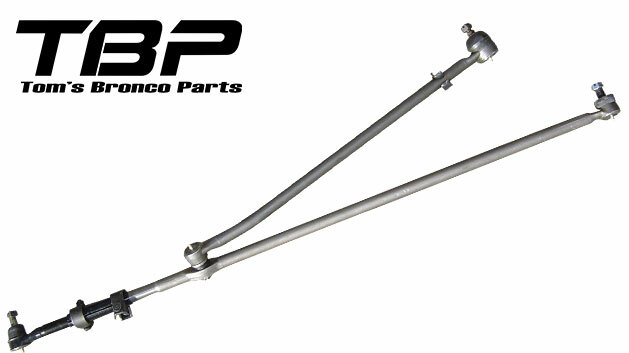 New 4-piece Steering Linkage Kit for 66-75 Ford Broncos. This is the T-Style steering linkage that came from the factory on 66-75 Ford Broncos. This kit includes a new fixed length draglink, new driver & passenger tie rods and new tie rod adjustment sleeve. This kit is just like the factory kit and includes a fixed length drag link. We highly recommend upgrading to our adjustable draglink kit instead for better centering adjustment of the steering gear box, especially when installing with a lift kit.